Structured wiring, full service electrical and everything in between. We've got all your needs covered. Smart home electronics, home automation and technology are “must haves” in today’s homes. Structured Wiring is the installation of wiring throughout a new home during the framing stage. This allows the client to run wire to ceiling speakers, video display areas, theatre speakers, internet, cable, security cameras, motorized blinds, lighting control, automating other systems in the home such as garage doors, fireplaces and any other assortment of wiring that may be needed to provide the perfect system for each individual client. 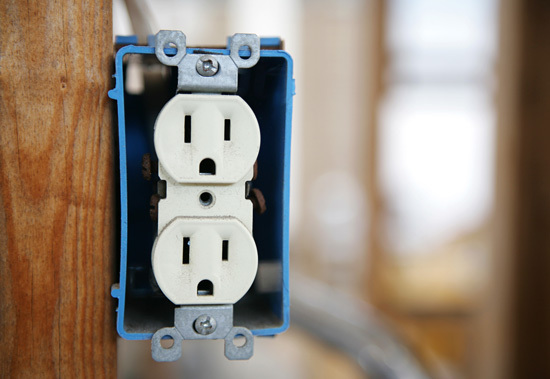 With Structured Wiring, all runs can be terminated at a central location (closet, storage room, mechanical room, etc.) so that all components can be hidden and out of the way. Having a centralized wiring design allows for easier upgrades in the future, it also allows for a seamless integration of all subsystems. Before you build, ask about Structured Wiring, it will save you lots of money in the end!